More than 4000 volunteers across 10 cities including 70 Organizations and 500 individuals are joining hands on June 18th for South India's largest Environmental Sustainability drive restoring beaches, rivers and lakes. Additionally 500 individual volunteers joined the green army. Why are you still standing on the sidelines? Join us! Various regional environmental NGOs across 10 major cities in South India are joining hands with CTC under the umbrella mission India Clean Sweep. 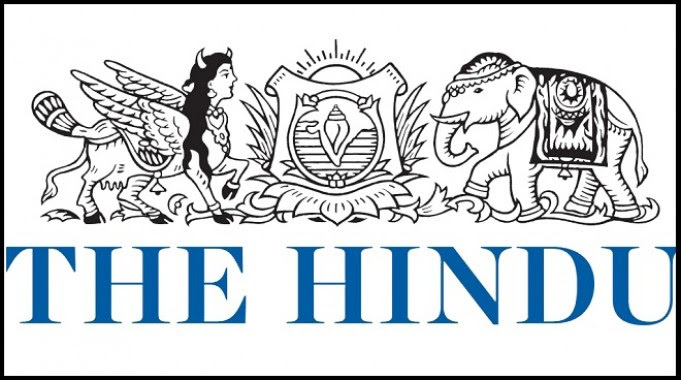 As in previous years The Hindu is teaming up with Chennai Trekking Club to reach out our message to the public. Last weekend team CCC8 landed at Nochikuppam and left behind a colorful message to the local community of 600 fisherman's families who implemented source segregation during last years' Chennai Coastal Cleanup/7. The Chennai Coastal Cleanup Green Wave is sweeping across the city's running community! Join us as we run along with the numerous chapters of the Chennai Runners and Dream Runners to spread the message of Environmental Sustainability to #ReducePlastics #SegregateWaste #Recycle#Compost. Thanks to the Tambaram Thunderbolts, Mogappair Fitness Circle, Porur Racers, T Nagar Trendsetters for hosting team CCC this week. Green momentum spreading out everywhere Team Chennai Coastal Cleanup rode with the Mongrels & WCCG cycling groups and we had a good interactive session at the end of road race by Madras Racing Circuit about effects of one time use plastics and the need to start Reduce / Reuse / Recycle our waste to save our planet from garbage footprint. Briefing about the Chennai Coastal Cleanup 8 by Chennai Trekking Club scheduled on 18th June 2017. The Social Media are flooded by selfies of numerable green warriors who show creative ways to eliminate the use of Single Use plastics in our daily lives in order to significantly reduce our garbage footprint. Are you ready to join them? Plastic, is the biggest foe. No matter how we try to eliminate it, it rears its ugly head in every size, shape and form possible. Its a very difficult task to avoid it completely from our lives, but we can definitely be less dependant on it, show that we are not slaves to it. The No Plastic Challenge from CTC, as part of Chennai Coastal Cleanup, is an excellent opportunity for anyone to get started on an earth and environment conscious journey and discover more about how to make one’s life a little less plastic-y. As for me, I take up the no plastic motto quite seriously (sometimes fanatically) in my everyday life. Like the title of this note, to me, its not only a challenge of 5 days but a lifestyle that my family and I have been following for the past many years (in fact, we were segregating plastics, recycling and composting even before my stint at CTC began).And through this note (maybe a bit long but bear with me! ), I’d like to share some of the things I have been doing at home and outside, to make my world a cleaner, greener one. As always - REDUCE, REUSE AND RECYCLE. Be a part of the SOLUTION not a part of the POLLUTION. Every bit of Plastic ever made still exist somewhere ! Let's take up this challenge and go green! 200 cycling enthusiasts signed up for our Awareness Fun Cycle Ride to Kelambakkam on Sunday June 11th. Why are you still missing? A sad reality that the modern technology and the education system has taught you only to make money. 220 deer deaths has been recorded at the IIT Madras campus due to huge quantity of plastic in the waste. Mission Chennai Coastal Cleanup/8 in full swing! Our core volunteer team keeps syncing up every Wednesday at ePagemaker to drive various awareness initiatives running up to June 18th sensitizing the public on the impact of our growing garbage footprint on the environment.